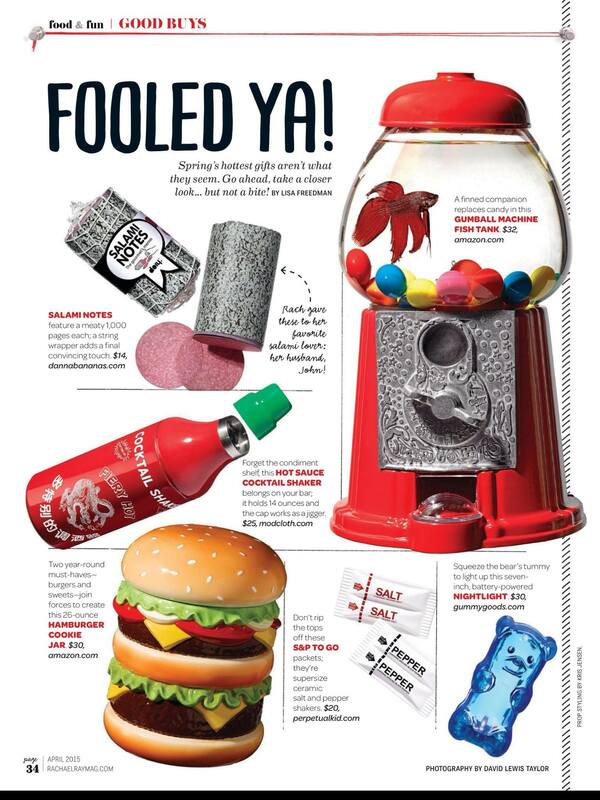 Check out the fun gift ideas from BigMouth Inc. in this month’s Everyday with Rachael Ray Magazine! The Cheeseburger Cookie Jar and Gumball Fish Tank! Tagged April Fools, BigMouth Inc., BigMouth Toys, Everyday with Rachael Ray Magazine, gift ideas.